Scylla and Charybdis are two famous monsters from Greek mythology, who worked in tandem on the opposite sides of a narrow strait of water. This strait was navigated by the Argo, Odysseus and Aeneas, and the dangers there faced were overcome. The combination of Scylla and Charybdis gave rise to an old saying of “between Scylla and Charybdis”, a saying which evolved into the more popular idiom, “between a rock and a hard place”, both sayings equating to dangers which ever direction was faced. ​The elder of these two mythological monsters was said to be Charybdis, for Charybdis was normally said to be the daughter of two primordial deities, Pontus (Sea) and Gaia (Earth). Occasionally though, Charybdis is named as a daughter of Poseidon and Gaia instead. Charybdis might be considered to be a minor goddess of the tides, but certainly Charybdis was the personification of a deadly, gigantic whirlpool. The whirlpool of Charybdis would, thrice each day, draw in and push out large amounts of water, with such force that ships might be sunk in it; this movement of water also created the tides. It was normally said that Charybdis was born monstrous but in some later mythological tales, a transformation of Charybdis, from beautiful goddess to monster, was said to have occurred at the hands of Zeus. One tale of the transformation of Charybdis sees the daughter of Gaia transformed when she had the effrontery to steal cattle belonging to Heracles, Zeus’ favourite mortal born son. Alternatively, the changing of Charybdis occurred after the goddess had helped Poseidon to increase the size of his realm, at the expense of Zeus’, by flooding additional land for the sea god. In surviving Greek mythological tales, it was sometimes suggested that Charybdis was the mother of Scylla, by Phorcys, a tale made more plausible if Charybdis was also a monster referred to as Ceto Trienos. Despite the possibility that Scylla was the daughter of Charybdis, it was more commonly stated that Scylla was actually the daughter of Phorcys, an early sea god, and his partner, Ceto (who was also called Crataeis). Phorcys and Ceto were parents to many monsters associated with the sea, including the Graeae and the Gorgons. The monstrous appearance of Scylla was more obvious that that of Charybdis, for Scylla was commonly described as having 12 feet, 6 long necks, with each head on the long necks full of sharp teeth. Scylla was also said to bark like a dog when the unwary approached her. Those sailors who sailed to close to Scylla would find themselves plucked from their vessel, and eaten, or at least would. The probability is that Scylla was the personification of a rocky outcrop, or underwater reef, where the deadly “teeth” could rip open a ship’s hull. 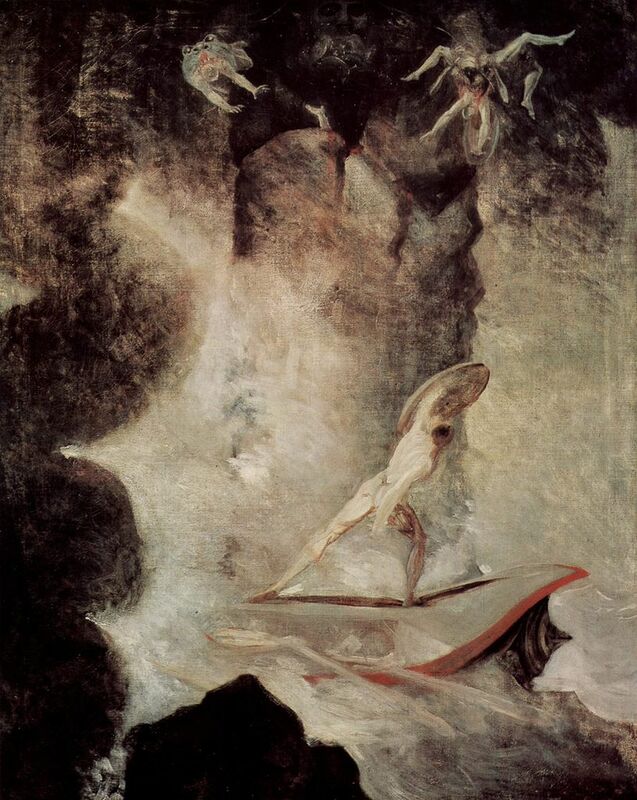 Scylla is normally said to have been monstrous, like her sisters, but as just as is the case with Charybdis, later writers also tell of how Scylla was once a beautiful water nymph transformed into a monster. One tale of the transformation of Scylla, sees the metamorphosis undertaken by Amphitrite, the wife of Poseidon, who was jealous at the attention that Poseidon was given to the nymph. In retribution, Amphitrite would poison the pool in which Scylla daily bathed, thus transforming the nymph. A more famous tale of the transformation of Scylla sees the transformation undertaken by the sorceress Circe. ​The sea god Glaucus was in love with Scylla, and wishing to woo the nymph visited Circe to ask for a love potion, unbeknownst to Glaucus though, Circe was herself in love with the sea god. 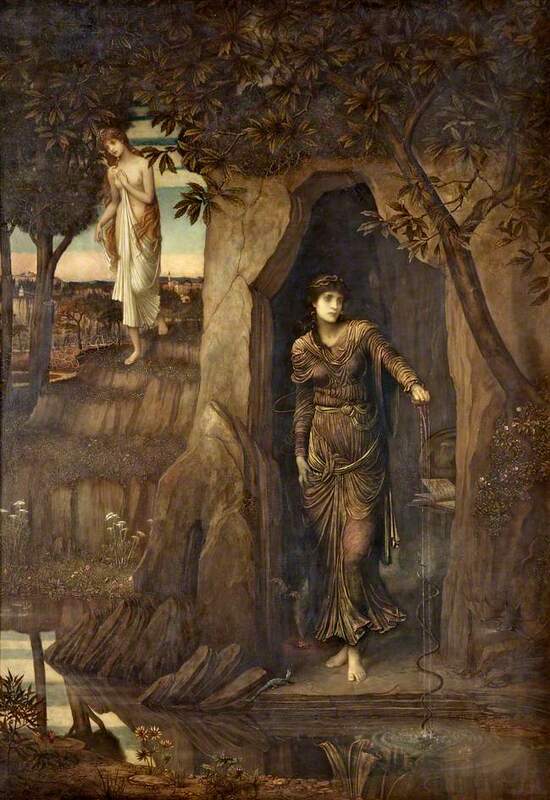 Presented with the perfect way of getting rid of her love rival, Circe gave it to Glaucus not a love potion but a poison that transformed the nymph when Glaucus gave it to Scylla. Scylla and Charybdis were said to live on opposite sides of a narrow strait of water, a distance measured at less than the flight of an arrow. Thus, no vessel could pass between Scylla and Charybdis unscathed for if they avoided Charybdis, the vessel would travel to close to Scylla, and if the vessel avoided Scylla, then it would be sucked down by the whirlpool of Charybdis. The strait where Scylla and Charybdis was said to reside is normally equated with the Strait of Messina, the passage of water between the Italian mainland and the island of Sicily. The movement of water between the Ionian and Tyrrhenian Seas does cause a whirlpool to form, but it is not powerful enough to cause danger to shipping passing through the Strait. In chronological order, the first famous tale of an encounter with Scylla and Charybdis, sees Jason and the Argonauts attempting to traverse the gap between the two monsters. Jason though was being aided by Hera and Athena in his quest for the Golden Fleece, and as such, Hera requested that Thetis and other Nereids guide the Argo safely between the two monsters. Shortly after the voyage of the Argo, a former Argonaut, Heracles also encountered Scylla, for some say that Scylla rustled the cattle that Heracles himself had taken from Geryon. Scylla though did not hide her tracks very well, and Heracles quickly tracked her down, and killed her for her impudence in taking his property. It was said that Phorcys, Scylla’s father, brought her back to life, allowing her to continue to cause death to further unwary sailors. Another Greek hero to encounter Scylla and Charybdis was Odysseus in his return journey from the Trojan War, Odysseus though was not so fortunate as to have the gods on his side at the time, and so Odysseus was forced to follow the advice of the goddess Circe. Circe told Odysseus to sail closer to Scylla, rather than Charybdis, for it was wiser to lose 6 men rather than the whole ship. Later, the Trojan prince Aeneas had to traverse the same stretch of water, but Aeneas and his crew safely travelled through by pulling hard and long at the oars of their vessel.